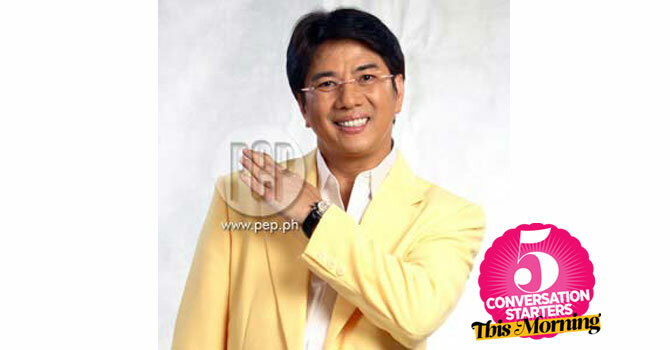 May 20, 2014 Conversation Starters: Willie Revillame Returns To TV + More! 3 Don't the boys of One Direction look super cute wearing the jersey of our National Basketball Team? Coach Chot Reyes posted this photo on his Twitter account, after the band confirmed that they are coming to the Philippines for a concert on May 21, 2015! 5 In case you missed it, soccer superstar Christiano Ronaldo poses N A K E D with model/fiancee Irina Shayk for Vogue Spain's June 2014 issue. The behind-the-scenes video below is in Spanish, but who the f*ck cares when they're just so nice to look at.